THREE LITTLE STATIONS that soon may only be a memory await decisions from Long Island Rail Road officials in Jamaica. Passenger service at the stations will be discontinued in a couple of weeks, and it is possible that some of the stations will be dismantled. The Long Island Rail Road has been inquiring for prospective customers who would take the Eastport station (left) away. The East Moriches station (center), undoubtedly the prettiest on of the three, will remain. It was constructed through local contributions. East Moriches also carries a fairly heavy load of freight, which will not be discontinued. Fate of Brookhaven station (right) likewise is still in the dark. Discontinuance of passenger service at the three stations was approved by the Public Service commission in Albany recently. hough the Public Service commission has authorized discontinuance of passenger service at Brookhaven, East Moriches and Eastport, the three stations stand as material reminders of a busier time, before automobiles, when these stations provided almost a vital link with the world beyond. 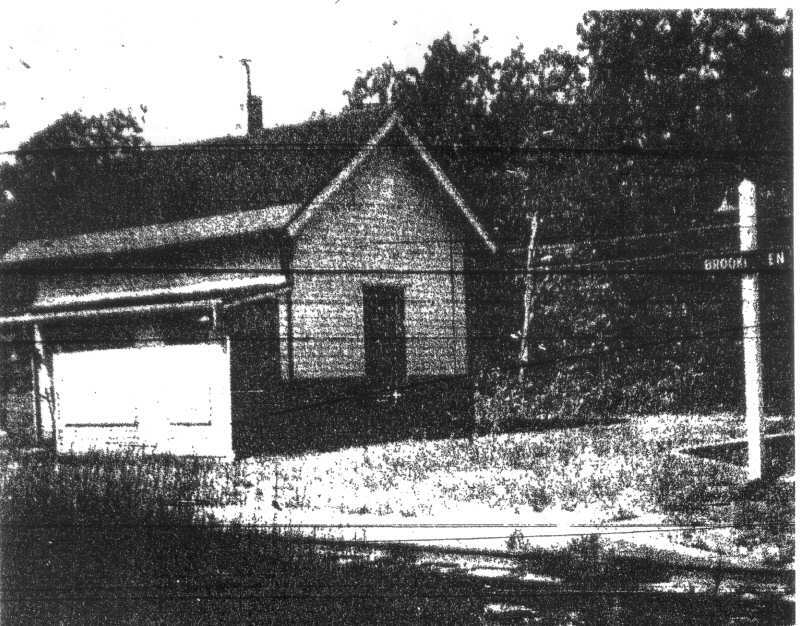 George P. Morse of Beaver Dam road, Brookhaven, who compiled the history of Brookhaven stations from various sources, says the railroad came to Brookhaven from near Farmingdale and then on to Montauk in about 1881. 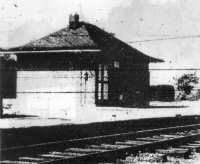 It was an independent "branch" known as the A. T. Stewart branch or the South Side railroad. 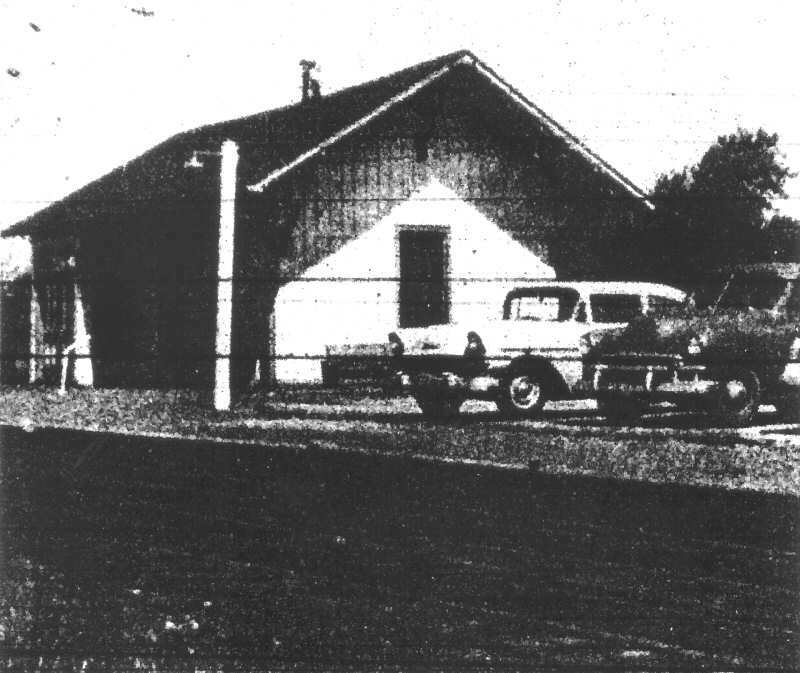 During construction, a gang of labors on one occasion took over the Osborn barn--now the Gateway Theatre--and so alarmed the family that they called for assistance from a group of Bellport men, possibly members of the fire department. Business was so good that the Brookhaven station even had an assistant station master. It is said that in 1890 the freight and passenger traffic amounted to $2,500 a week. The principal freight from the area was strawberries, crabs in barrels with seaweed and boxes of oysters. The last regular station agent for Brookhaven was Charles C. Hotcaveg of Beaver Dam road, Brookhaven, who held the post from 1915 to 1932. After him, his wife took over as a contract agent for about four years and then that post, too, was discontinued. Mr. Hotcaveg remembers that during the busy summertime at the station, approximately $800 worth of tickets was sold. 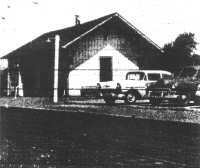 Freight traffic at the Brookhaven station was worth up to $40,000 a year. Business dropped off also when many summer people no longer came out because of the duck farms that built up in the area, according to Mr. Hocaveg, who is still with the Long Island Rail Road, directing trains in Babylon where he is a block operator. The East Moriches station, with no permanent agent, is handled by Ronald Chapman, who is assigned to Center Moriches. 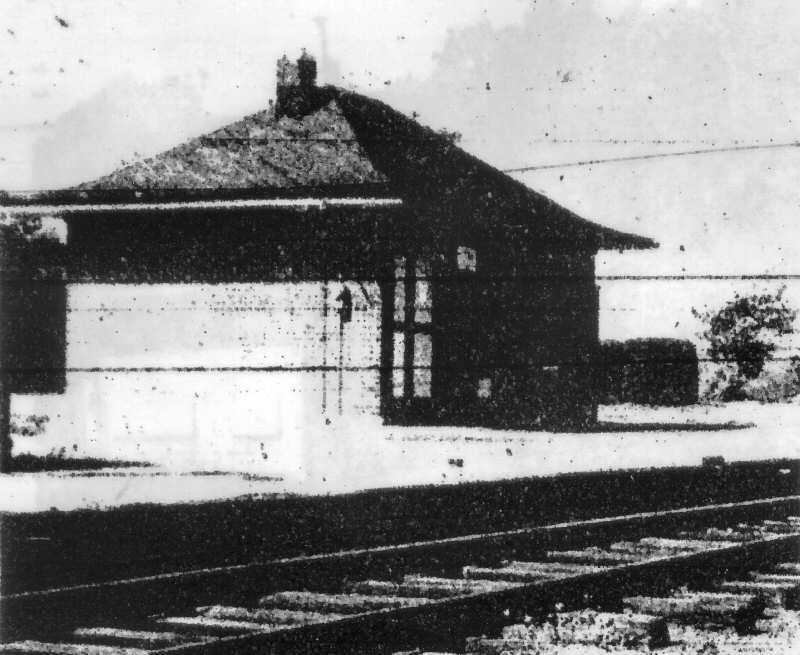 The East Moriches station carries more freight than the Center Moriches station and it is not expected that the pretty, brick station building, which was built at the turn of the century through public subscription and with land, materials and labor supplied by local residents, will be dismantled. Statistics offered by the Long Island Rail Road earlier this year showed that the East Moriches station was never used by more than one daily passenger, and most of the time by none. Ralph Wickens, who has been assigned to the Eastport station for 13 years, will probably move to Montauk. 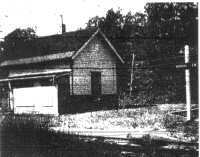 The Eastport station has been used by only a single daily passenger--Joseph Parisi of Lilly Pond road, Eastport, and by freight serving mostly the Beacon Mills and Goldstein's Department Store. Mr. Wickens was handling the freight and Western Union office at the station. Freight on less than a carload basis will now be discontinued and it is expected that the station will be torn down. Even though there was no announcement to that effect from the Long Island Rail Road, at least two persons reported they had been contacted with offers to remove the wooden building. As of early this week, Mr. Wickens, who is leaving on a vacation, still didn't know whether he'd be coming back to his job in Eastport or to a reassignment at another station.